1. Stretch well before meditation to help you sit more comfortably. 2. Find the right meditation posture and use props or even walking meditation to help you succeed. 3. Do peace bestowing yoga breathing exercises before meditation. 4. Don’t be over ambitious with regard to your practice and set achievable meditation goals. 5. Find a meditation group to practice with as this will go a long way in keeping you inspired and consistent. Today, in part 2, I will give you 5 more useful tips which should help you establish and enjoy a daily meditation practice. Real meditation is hard work. This is especially true if you have gone deep into this art and are now at the stage of doing the ultimate meditation which I define as, comprehending your thoughts from moment to moment via direct perception. If you have sincerely tried this, you will realize that it is not a trivial ask. Thoughts are subtle and swift and in order for them to be “digested”, a great deal of energy, awareness and intelligence is needed. So if you are struggling, that is ok. This is a challenge for all of us, so don’t add obstacles by thinking negatively and being harsh on yourself. Even if you are not doing such advanced meditation, in general meditation is not easy. Sitting still, focusing, attending, letting go, etc, can all difficult be to do, so don’t beat yourself up if you are not meditating well all the time. At the end of the day all you can do is put your best foot forward. Enlightenment is not a guarantee, you can simply do your best and leave the rest in the hand’s of the Universe. Meditation is not just about sitting for 20 minutes or 1 hour a day. Meditation is a full-time job. Try, as best as you can, to be as mindful and aware of that which is taking place in your outer and inner environment all the time. See how well you can remain an observer, a witness, to the comings and goings of your life. This practice is the key to undoing the detrimental conditioning that has been done to the human mind and is the key to encountering what is Real and Ultimate. There is a good reason why Ayurveda, the holistic science of health and healing, says that one should eat light and pure (satvic) food. It is because it helps the body, mind and senses be more sensitive, and sensitivity is another way to describe a meditative life. For meditators there are 2 aspects of eating right. First, they should eat light and healthy food in general to promote alertness and sensitivity, and second, prior to sitting in meditation, they should not eat a heavy meal to avoid feeling sleepy and lethargic. 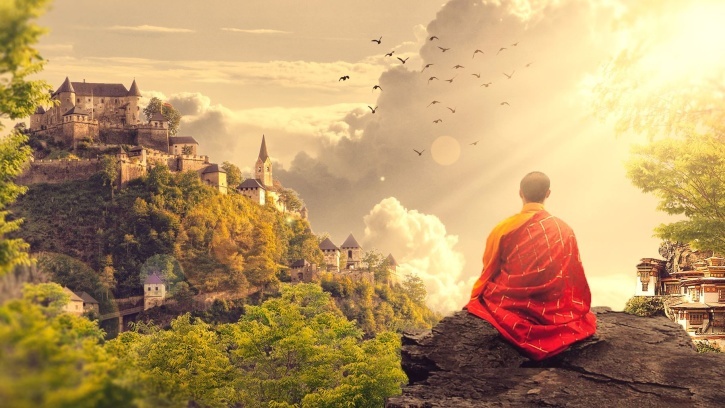 In the article, 3 Simple Tips to Invite Enlightenment, I discussed how simply reading enlightened material can refine one’s energy, trigger kundalini and create shifts of consciousness. Reading good books and learning from a good teacher can do a great deal more as well of course. I have written about this before and want to emphasize it again here. Don’t underestimate the value of setting a definite time for meditation and creating a meditation space. Both these items will be very useful to you in establishing a consistent, daily meditation practice, the value of which is immeasurable. 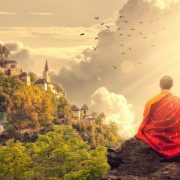 The following 2 articles go over these 2 items in detail and provide you many more tips and advice to help you meditate better. If you have some meditation tips or advice, please do share that with us in the comments section below. Also, if you enjoy this article, please share it with your family and friends on FB, Twitter etc :-).